2Geology Department, Faculty of Science, Helwan Uni. Soils of Sinai show development of soil group from ancient Precambrian dominated parent rocks in the south to younger Quaternary coastal deposits in the north. 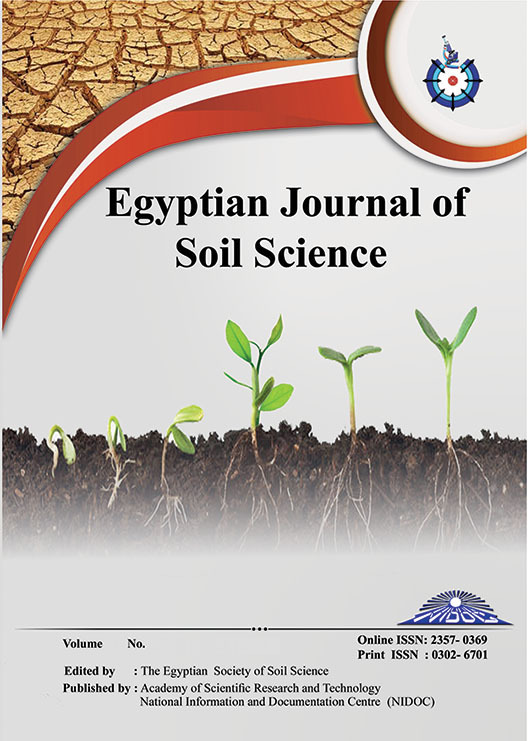 Five groups and eight soil classes are distinguished in the study area, according to world reference base for soil resources. They are leptosols (35%), calcisols (34%), arenosols (17%), regosols (10%), and solonchaks (4%) soil group cover Sinai Peninsula. Leptosols soil classes are characterized by the presence of stiff hard rock units of dominating Precambrian basements for lithic leptosols soil class or Mesozoic and Tertiary rocks for eutric leptosols soil class. Cretaceous, Tertiary and Quaternary strata represent the main essential parent rocks for yermic calsiols class of about 98.93%, while the haplic calsisols class comprises mainly of Paleozoic composed of 73.44%. Both classes are characterized by the same component of rich carbonate formations. Arenosols are composed of sand dunes with relic of high elongated folds that emerge from it. The calcaric arenosols soil class may represent the end course of transportation agent came from the hinterland area from the south. Due to the effect of water seepage from the Mediterranean sea, sabkhas were formed to separate the gelyic solonchaks class from the former arenosols one. Unconsolidated material of regosols soil groups are composed of unconsolidated clastic deposits of eutric regosols class and calcaric regosols class.